Thread 1 piece each cantaloupe, honeydew, pineapple, and strawberry onto skewers. In a medium bowl, beat cream cheese and milk with a mixer at medium speed until smooth. Beat in confectioners’ sugar and vanilla until smooth. 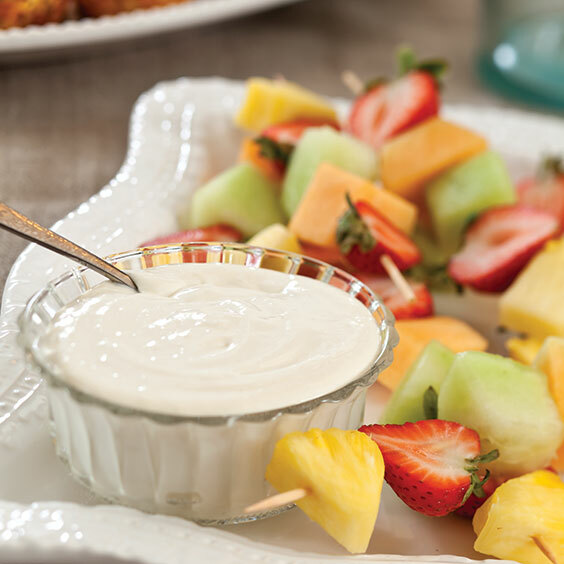 Serve dip with fruit.